There are times when it is almost midnight but you still have a lot of work to do and deadlines to meet. The most commonly solution to stay awake is to take in some caffeine by drinking coffee. The problem is the after effect which makes you awake even if it’s already late, way past your sleeping time, and you really want to sleep. Taking in alcohol to fall asleep is not advised because this will only give you a bigger problem, so what should you do? Don't worry, there are things you can do to fall asleep after drinking coffee. 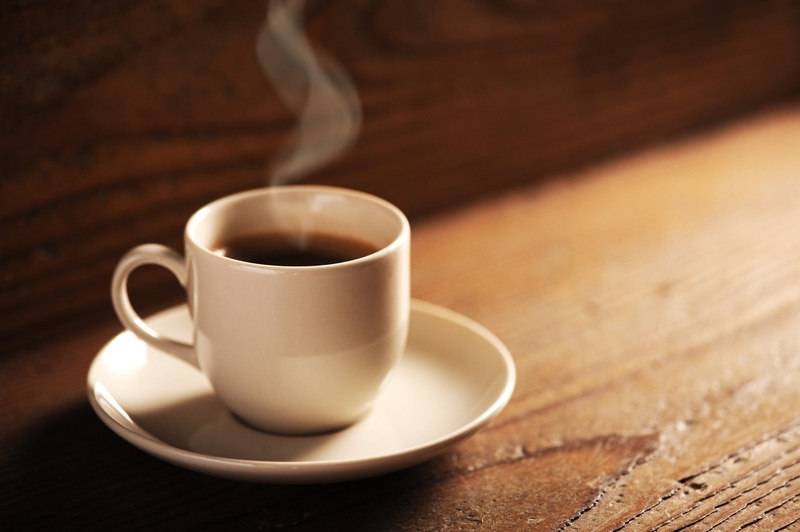 The caffeine will stimulate your mind, so avoid synergistic factors like television, x-box, phone and even internet. Instead, make a relaxing ambiance in your room to soothe your mind. Turn off your room’s main lights, switch on the overnight lamp and close the curtains. Some people sleep better without lights. You can also play relaxing piano or chimes music. White noise can also help in falling asleep after drinking coffee. Examples of white noise are faucet dripping in the sink, raindrops tapping on your window sill outside, your cat purring, or your fish tank's bubbling sounds. Exercise releases the hormone serotonin which stimulates sleeping, but be careful not to exercise too much because this will increase your body’s temperature making you feel more awake. Exercise improves the quality of your sleep and helps regulate the cycle of your sleep pattern. It is recommended to perform light exercises like stretching or yoga inside the relaxing environment you've prepared. A recommended yoga pose is the “corpse” where you just have to lay down with legs slightly apart and palms facing upward by your side. Breathe in and out, feeling the gravity in your body. This will help your body relax and sleep better. How to sleep after coffee? Drink milk before bedtime because it is rich in tryptophan, a kind of amino acid which can be converted to serotonin and melatonin. Both of these substances are good in inducing sleep. Besides, avoid sugary foods and instead eat foods rich in carbohydrates, such as oatmeal, pumpkin, sweet potatoes or bean, because carbohydrates increase the absorption of tryptophan in the body enhancing its sleep-inducing effect. Meditation can help you sleep after having coffee because it helps reduce your stress level and relax your mind. While meditating, you should take long breaths, breathing in via your nose, and breathing out via your mouth. There are a lot of meditation tracks in YouTube; you just have to choose which one suits you best. Essential oils are one of the famous tools being used in aiding sleep. Essential oils are natural oils extracted from plants and herbs. These oils should be placed in diffusers in order to let their aroma fill the room. Some of the essential oils used in inducing sleep are lavender, chamomile, ylang-ylang, bergamot and sandalwood. After drinking coffee, you need to take 32 ounces of distilled or purified water within 5 to 10 minutes. This process will help your body flush out the caffeine and will help restore the minerals depleted by caffeine. Knowing the right time of drinking coffee has a great impact on the way it affects your sleep. Another solution to how to sleep after coffee is figuring out how coffee affects your body: coffee will make you energetic and excited after drinking it but it will make you feel sleepy once the caffeine’s effects start declining. So, drinking your coffee too late may make you awake even if it is past your bedtime; on the other hand, drinking it too early may make you feel tired and sleepy even if it is not yet your bedtime. Although there are a lot of factors that may affect your body’s response to coffee such as your age and weight, knowing the right time for you to take in caffeine to stimulate you proper without hurting your sleeping pattern will help greatly. But this needs some trials and failures before you finally make it. Having a warm bath before bedtime relaxes the nerves in your body making you feel stress free. Although it is a warm bath, your body will eventually cool down making you fall asleep better. The right kind of pillow will also help in improving the quality of your sleep. Don’t use a pillow that’s too thin because this will only make your head tilt backwards. You can place a pillow between your legs if you sleep on your side to support your hip. Another tip for your “how to sleep after coffee” dilemma is placing a pillow under your legs if you sleep at your back. Your head and neck must be in a roughly straight line position and your body at mid-line. Sleeping in your stomach is not recommended because this causes more body aches and pains. You may also try reading an eBook which you are very familiar with or which you are totally not interested in so that you will not get engaged, but distracted from the fact that you can't fall asleep. You may also try playing relaxing music. Server responsed at: 04/19/2019 4:57 a.m.